Unwittingly written over 24 years, #DearDiary is an existential joyride, pulled verbatim from 5,000+ pages of Andi Snelling’s lifelong diary collection. 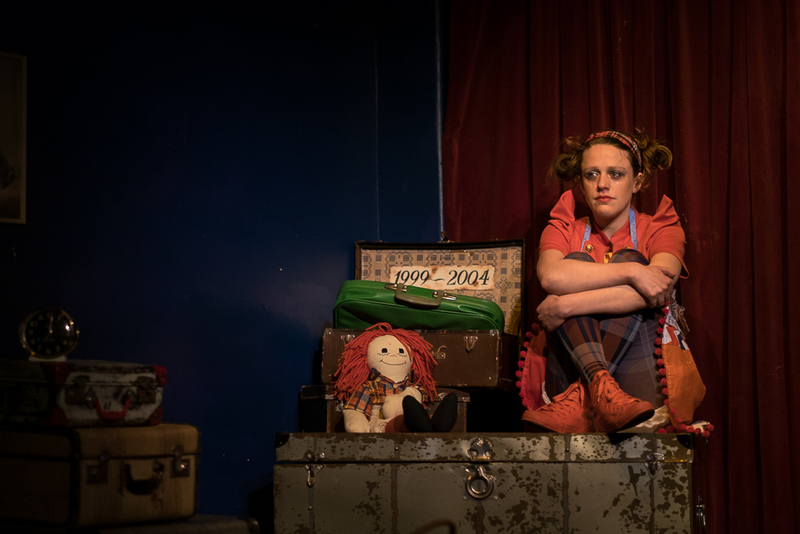 Raw and uncensored, her comically tragic tale unpacks the baggage we all carry. With self-quoting satire, physical storytelling and song, Andi bares her soul and hashtags the heck out of it. 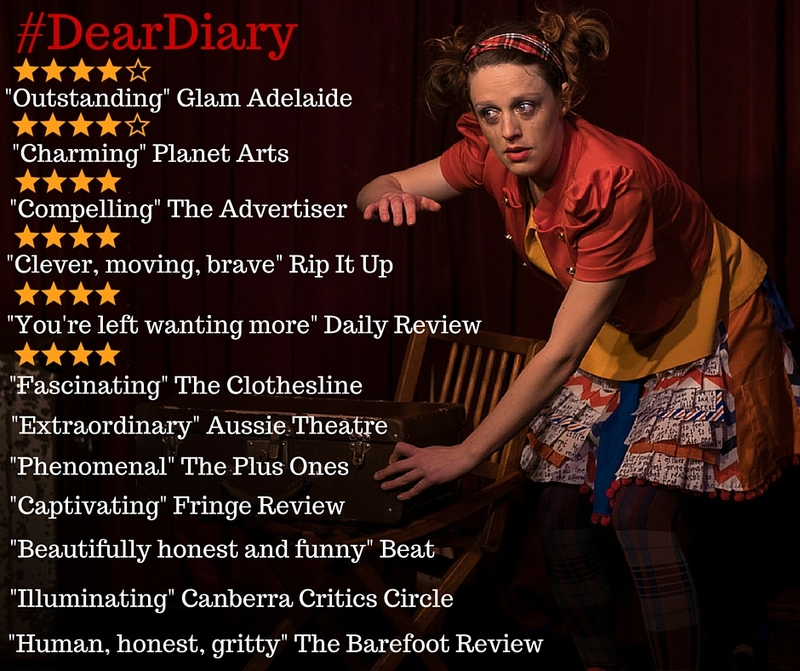 After the huge success of Melbourne Fringe 2015 and a completely sold-out season at Adelaide Fringe 2016, Andi Snelling’s critically-acclaimed solo confessional, #DearDiary has just completed an encore season at The Butterfly Club. A diary-keeper since 1992, long before the cultivated Facebook status, Andi shares her most private musings from age 9 to 33. 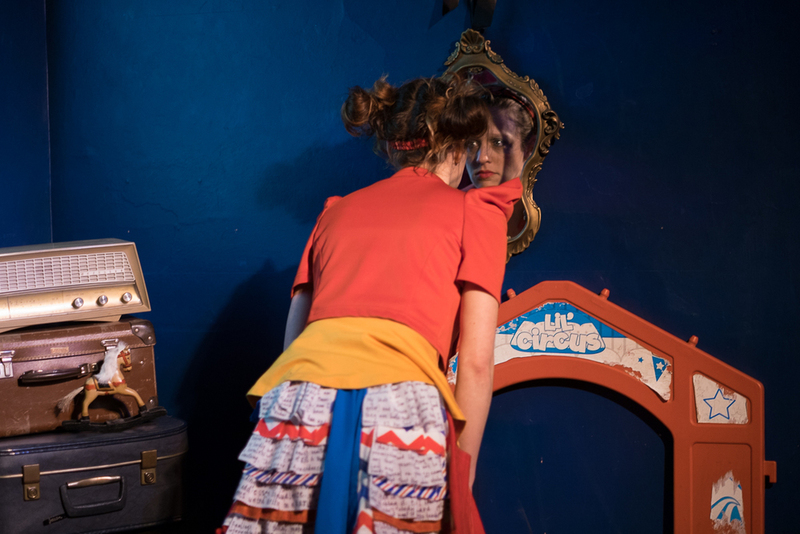 Never intended to be made public, this theatrical Museum of Thoughts captures the human spirit which connects us all. #DearDiary is currently touring around high schools and universities for drama students, including Q&A sessions. The show is also available for regional and national touring. Further information can be found at National Touring Selector.